Victory Music is a non-profit, all-volunteer run organization. 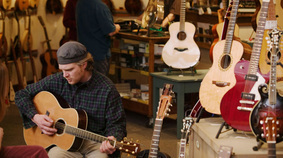 Our members include performers, producers, recording industry professionals, retailers and other people interested in preserving acoustic music. We are the longest-running, music-minded organization in the Northwest. Add your voice to ours and become part of our history. In addition to hosting high quality open mics at flavorful venues and spunky festivals, Victory Music offers its members some distinct privileges. 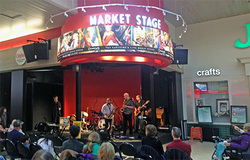 Members of Victory Music are eligible for our quarterly Showcases, which rotate among our venues. That's four showcases a year - opportunities for you to present a full set to your peers and your fans. Put your act on camera ! Plans are in the works to have these showcases video-taped by volunteers and made available to the performers and our website. This is how our community supports each other. Email us if you have know-how on recording live, syncing multiple cameras, or any of that stuff. We know some of it, but between all of us we will know a whole lot more! Everyone have fun. Everyone wins! Victory Music maintains a members database that becomes musician referral service to help you flesh out your band, collaborate on songwriting, split bills, or just jam. Our members consistently tell us that the single most valuable benefit they've gained through their involvement with Victory Music over the years is the wealth of friendships they have formed. If you are a musician - especially a younger creative, you understand how important it is to surround yourself with people who understand your calling and its challenges. You want people around you, who encourage and inspire you to pursue your best creative self, and who celebrate your uniqueness with wild applause and open-handed support. That's your musical tribe. That's Victory Music. As the longest- running music-minded organization in the Northwest, Victory Music has weathered profit and boom, tight-belts and gloom. And we still sing! Over the past four decades Victory Music has sunk its roots deep into the Northwest musical community, creating copacetic collaborations with various music-minded organizations and retailers. As a Victory Music member you benefit through price breaks on some events and music-related products offered by this community. If you work at a music or service related business and are interested in offering discounts to our members, email us and we'll set up a win-win. volunteers can earn a membership! ﻿Annual membership starts as low as $15, yet we get that musicians are not always flush with cash. So, we will trade you. In exchange for a few hours of life-force each month, (reviewing CDs, helping set up venues, running sound, promoting an event on our Facebook page, or interviewing a featured artist), badda boom badda bing - you're official! If that sounds good to you, go to this VOLUNTEER SIGN UP page. Otherwise, go to this JOIN page and we'll take your money.